That's right eagle-eyed viewers, you will have spotted that I have skipped straight from week 21 (Murdock Weekend) to week 23 (Wolverhampton). 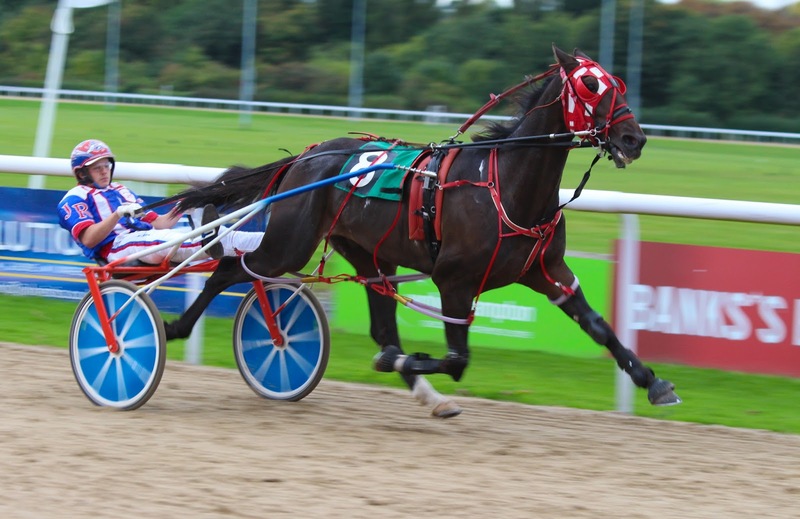 That is because week 22 was meant to feature a fixture at Tir Prince on the Saturday night (including the British Pacing Classic for aged pacers) and a meeting at Corbiewood on the Sunday. Only, Tir Prince was called off on the Friday before the Murdock Weekend (bit of a sore point amongst some; we had intended to take Cassius down had he made it to Grade 1 during the weekend, which he did, but I won't lose sleep over the mammoth round trip in the lorry, no sir-ee) and despite several people's best attempts, the British Pacing Classic was abandoned rather than moved to Corbiewood (even though CW was the only other track to tender originally for the race, and also the only other hard track staging a meeting on the weekend of the scheduled race at Tir Prince). Word was there were only 2 entries for the event at Tir Prince and they were happy to get their money back rather than come to Corbiewood to race. Their loss. 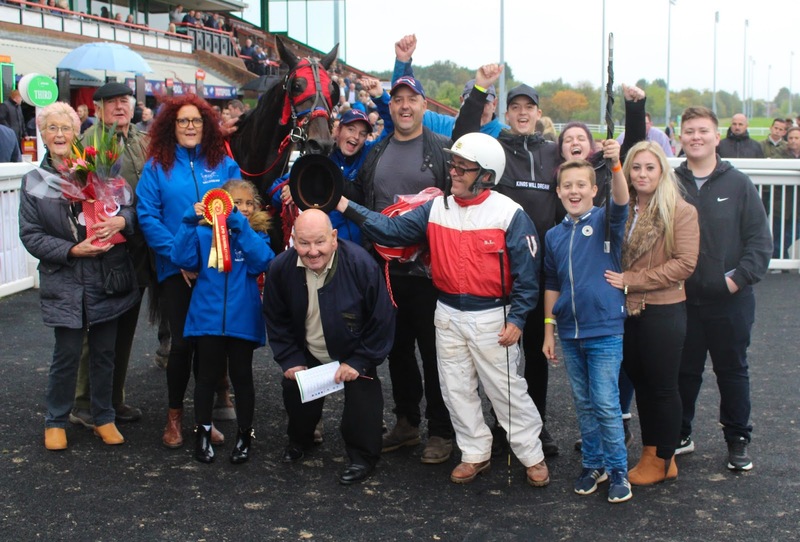 So in reality, the only point of interest from the entire weekend was that 7 of the 8 winners (of mixed races) at Corbiewood on the 24th September were mares (Crown Royal, Thornton Bronte, Dynamic Ace, San Diego, Lady Mary, ATM, Sureamsomething). In the only race won by a gelding, a mare (Yokalady) was second. 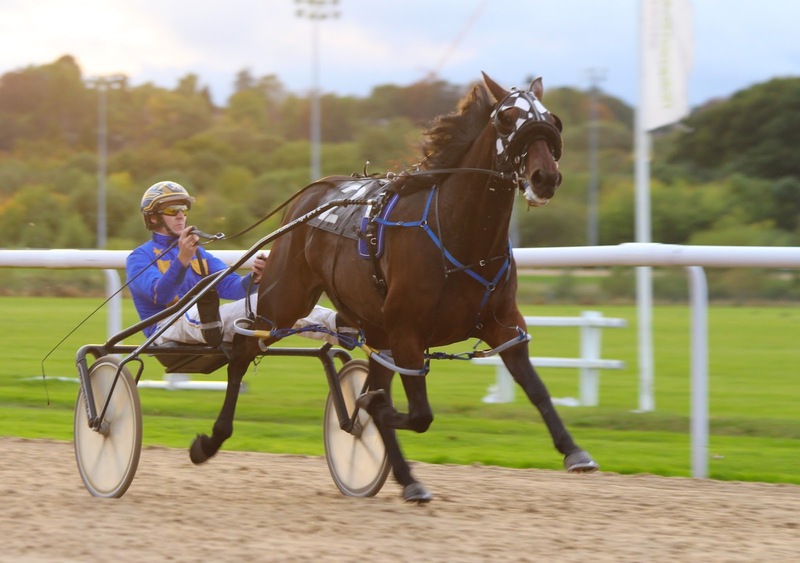 Four of the aforementioned eight mares were runners in the Oakwood Stud Mares Pacing Series which was deemed a huge success (not just by me), and I found these results encouraging for potential entrants in 2018 (when I hope to organise the series again). Fast forward six days and Corbiewood broke with tradition to run on Saturday 30th September to allow Wolverhampton a clear date on the Sunday. 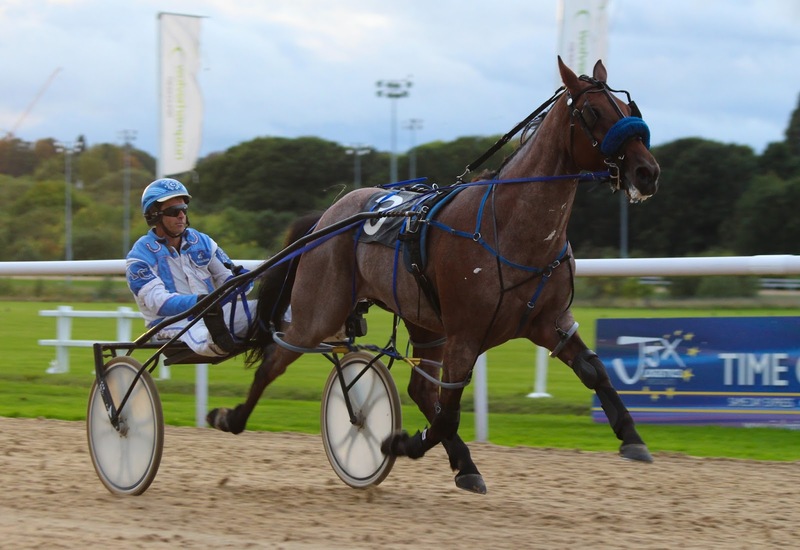 A quick shout out for Rab 'Ranter' Wilson driving I Live To Party to victory, with his other horse Crown Royal (driven by Brian Gilvear) finishing second. A casual two-horses-in-the-winner's-circle occurred thereafter. This was a charity meeting to raise money for Leukaemia Research and St James' Hospital Leeds, a cause close to all of our hearts as Jacqueline Gill (née Wilson, daughter of the aforementioned 'Ranter') was treated for the disease and has now, thankfully, been given the all-clear. I was asked to be the official photographer, which I clearly didn't think through as it was a 5 hour drive there, a 5 hour drive back, and there were 15 races in between. Suffice it to say that I was pretty tired at work on the Monday! So...highlights. You know there are going to be a fair few in amongst 15 races. 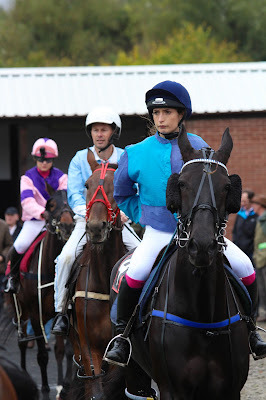 First of all, the saddle race which kicked off the day. Predictable? Yes; Enjoyable? Also yes. I'm a big fan of John Barley and I know the trainer and jockey both very well. 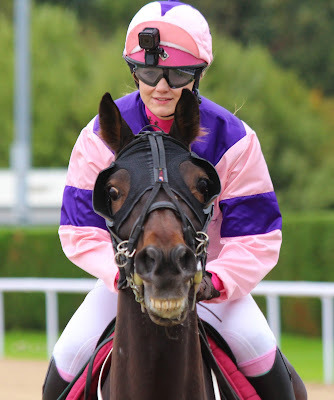 Plus my brother was in the winner's photo, after the owners and me all shouted at him to stop hiding on the sidelines! Cardigan Flash Man followed up on his two wins the previous weekend at Corbiewood with another convincing win in the second race, which seemed to lift owner Alf Swinbank's hangover marginally when he entered the winner's circle. 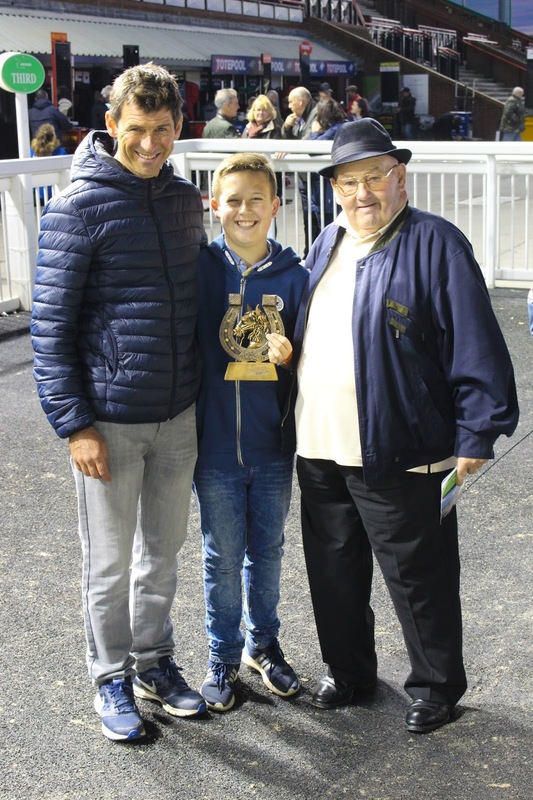 This was the first of three consecutive driving wins for Andrew Cairns, who partnered the trotter Bora Bora De Seg in the Silver Le Trot and the Bousfield family's Genetic in the Maiden for a quick treble. Jaimie Davies and Quality Art won the fifth, in a highly competitive and wide open affair. 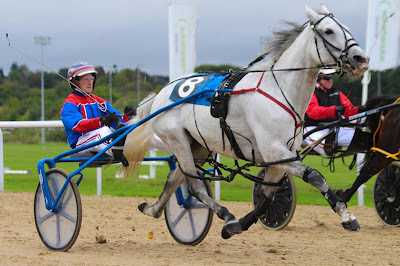 Next up was the super grey mare, Shades Of Grey, making her third career visit to the winner's circle at Wolverhampton when taking the STAGBI Future Broodmares race in a close finish from the Scottish mare, Starzapan. Ghengis Pride returned to the winner's circle for the fourth time this season with driver Alan Haythornthwaite quick to follow son James' example in the previous race; other son Richard wasn't long in joining the party when winning the next race on 3YO trotter Emirat Du Levant, making it three different Haythornthwaite wins in as many races. Steve Lees started his run of winners in the latter part of the day, kicking things off with a win on board Millstream Stud's Rhyds Merlin in the ninth. Steward Bob Lee had spent much of the day being shouted at by me, with the line 'BOB ARE YOU IN OR OUT?' being used on more than one occasion as he dithered in the middle of a photo opportunity with his back to the camera congratulating connections. On this occasion he was most definitely IN, being mildly accosted by Stevie in the process! The two-horse 3YO race between colt Rhyds Rock Star and filly Greenhilldebateable was, as expected, won by the former and was his tenth win of the season setting him on course (in my opinion) to be voted BHRC 3YO Colt of the Year. 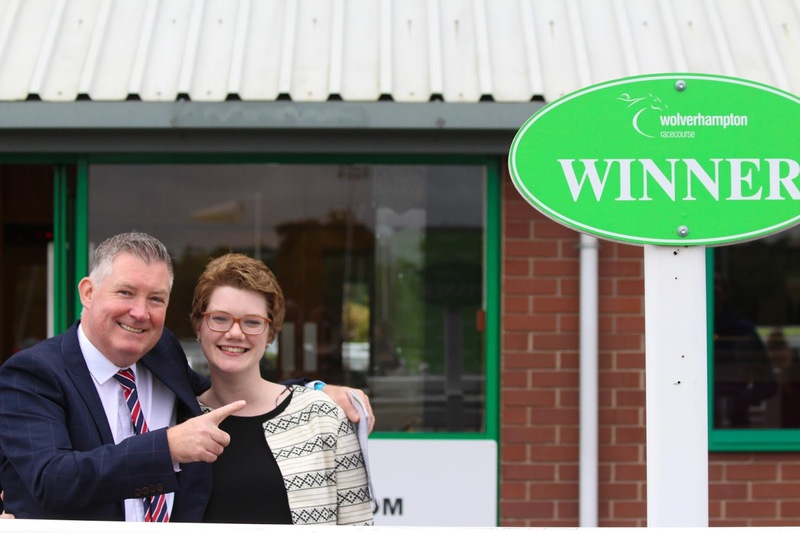 This was organisers Shane and Claire Fletcher's second winner of the day and thoroughly deserved for two people who support race tracks up and down the country, as well as work tirelessly to get the event at Wolverhampton off the ground each year. 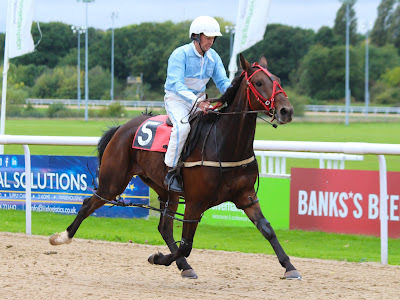 Coalford Mystery, a former Scottish-trained horse with the unfortunate record of taking 22 runs to win his first race, surprised those who knew him in his previous home to romp to victory in one of the easiest wins of the day in the Novice with Stevie Lees on board. Arguably the only horse who could be deemed to have won easier would be the winner of the C Class Drivers race, Ring of Fire, in the hands of teenager Joel Richards who was escalated to B Class status after this win. He later remarked that he couldn't hold the horse in the closing stages of the race, and the 4YO son of Doonbeg was indeed a VERY impressive winner with an electric turn of foot passing the stands. The three-horse Battle of the Big Guns was unsurprisingly won by superstar 4YO Miraculous, fresh off the back of his Crock of Gold victory at Tir Prince. Tarawood Messi put in a strong performance to finish second ahead of Ayr Majesty. 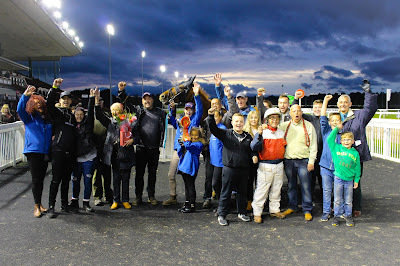 The penultimate race saw a fourth winner for offspring of Doonbeg when Lakeside Paddy came home in front for David Bevan, trainer of saddle race winner John Barley (also by Doonbeg). 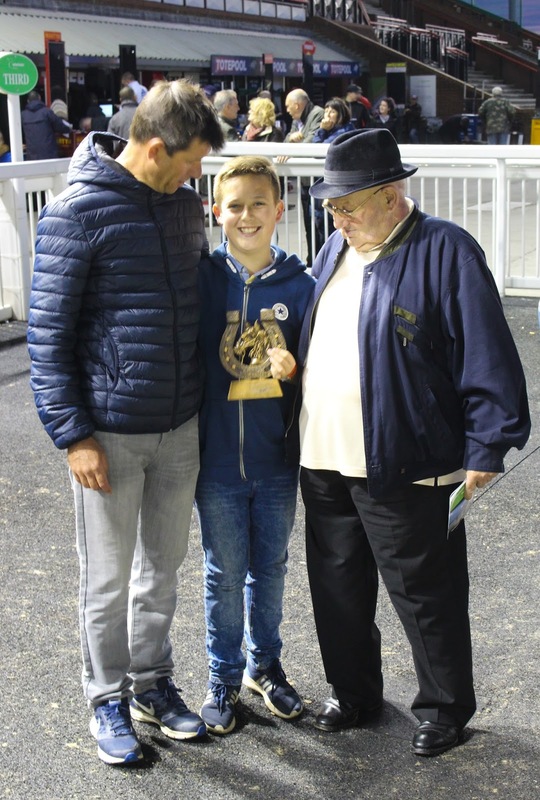 And the final race of the evening, under the floodlights, gave Stevie Lees his third winner on the day when T'es Trop Foot provided Millstream Stud with their second winner in the Gold Le Trot. 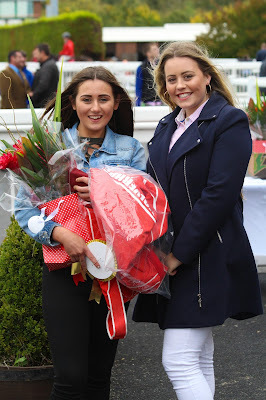 This was probably my favourite winner of the day simply because as the field turned for home with 2 furlongs to go, the supporters of the winner erupted into cheers and they kept it up the full way to the finish. It's hard not to get caught up in that kind of emotion! At the end of proceedings, Andrew Cairns and Steve Lees were tied for leading driver, with 3 wins and a second apiece. Bob Lee (who loves a photo opportunity) presented Andrew and Steve's son, Stephen, with the trophy, which Andrew let Stephen keep (at least until the start of next season!). All in, the auction which was staged between races 7 and 8 raised just shy of £10,000 which will be added to the funds raised by Jacqueline's friends who have run numerous half marathons this summer (raising £4000 in the process). I think that is a phenomenal figure and something which the BHRC should ensure is publicised by the receiving organisations. Harness racing is the subject of many misconceptions in the wider public, but when it comes to giving, as demonstrated when raising funds for the Great North Air Ambulance after driver Logan Fowler smashed his hip in an accident at Appleby, or for the family of Peter Wallace to purchase mobile defibrillators for use at harness racing tracks, harness fans are second to none at it. 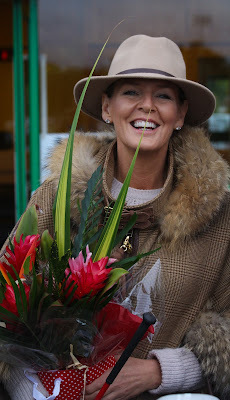 Jacqueline Gill has also asked that I mention how much she appreciates everyone's love and support during what has been a very difficult time for her and her family and friends, and a truly heartfelt THANK YOU to you all. Well done to all involved on a very successful event! P.s. unless you hadn't figured, what with me being the official photographer, all of the photos in this particular post are my own!